The migrant route from Turkey to Europe is rising again in popularity. 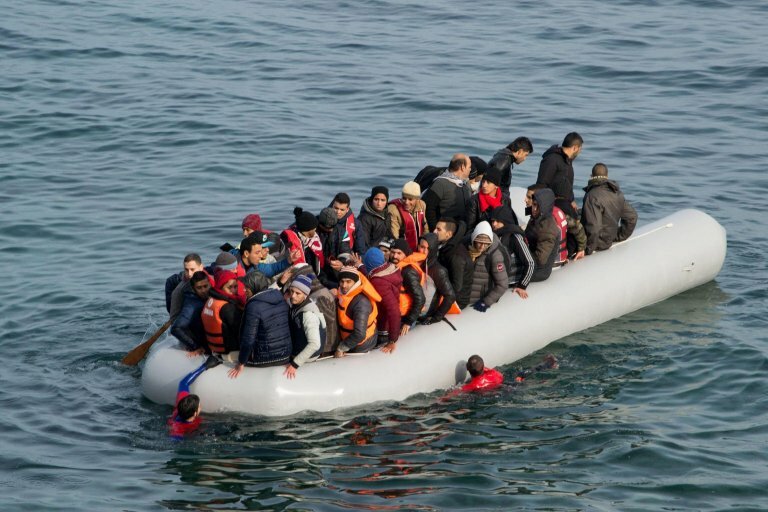 Nearly 15,000 people have been stopped in 2018 thus far by the Turkish Coast Guard, a 60% increase on the previous year. The migrant route to get to Europe via Turkey is regaining popularity. In the first seven months of the year, the Turkish Coast Guard has stopped 14,470 people who were seeking to reach the coasts of the EU without regular travel documents, an increase of about 60% on the 9,152 of 2017 in the same period. Most of them, 13,336, were trying to land on Greek islands via the Aegean Sea, while the others were intercepted in the Black Sea and the Mediterranean. The peak, with over 3,000 stopped, was in May, followed by 2,534 intercepted in April. The Coast Guard said that 54 migrants and refugees had died in trying to cross in that area in the period in question, compared with 20 the previous year. In particular, over the past 10 days several boats have sunk, causing numerous victims. The worst incident - with at least 19 victims - was a boat that left from southern Turkey and capsized in the eastern Mediterranean off Cyprus. Another six bodies were found on Monday after a shipwreck that occurred near the Greek island of Lesbos in the Aegean Sea, including three children. Local authorities say that those who died were Turks fleeing after being accused of tied with the network under imam-in-exile Fethullah Gulan, believed to be behind the 2016 coup attempt in Turkey. The purges, which led to tens of thousands losing their jobs, resulted in a further increase in illegal crossing attempts. In many cases, the route of choice is one crossing the Evros river on the border between Greece and Turkey. The route is short but is often treacherous and it was there that a woman and her three small children disappeared about ten days ago, according to their husband and father - who instead managed to get to the EU. The man said that the family was fleeing the purges. Turkish interior ministry data show that the authorities arrested 383 suspected traffickers in July, accused of organizing the attempts to cross via sea or of facilitating illegal entrance into the country. Since the controversial agreement in March 2016 with Brussels, the number of people reaching the EU from Turkey has dropped sharply. Some 16,142 migrants landed in Greece this year, according to the UNHCR, with an average of a few dozen per day. An estimated 60 percent are Syrian or Iraqi refugees.